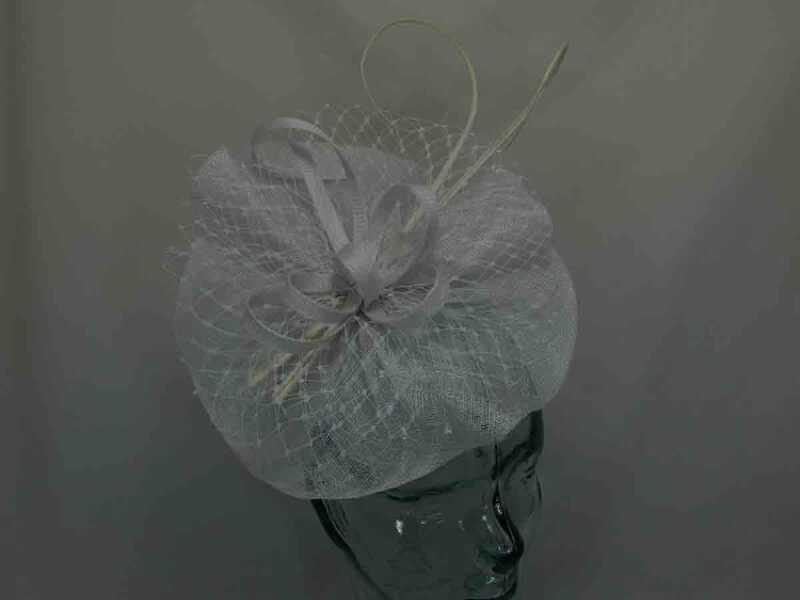 Pillbox fascinator with a birdcage veil and feathered flower on a band in mercury grey. Matching clutch bag available. Pillbox fascinator with a birdcage veil and feathered flower on a band in wild rose pink. Matching clutch bag available. Pillbox fascinator with a birdcage veil and feathered flower on a band in flamingo pink. Matching clutch bag available. Chiffon flower fascinator with diamante centre in white on a thin aliceband. Matching clutch bag also available. Feathered fascinator in white on a beak comb. Matching clutch bag also available. Pillbox fascinator with satin loops, dramatic quills in white, on a metal aliceband.